Buy all 5 varieties of fit mixes here. 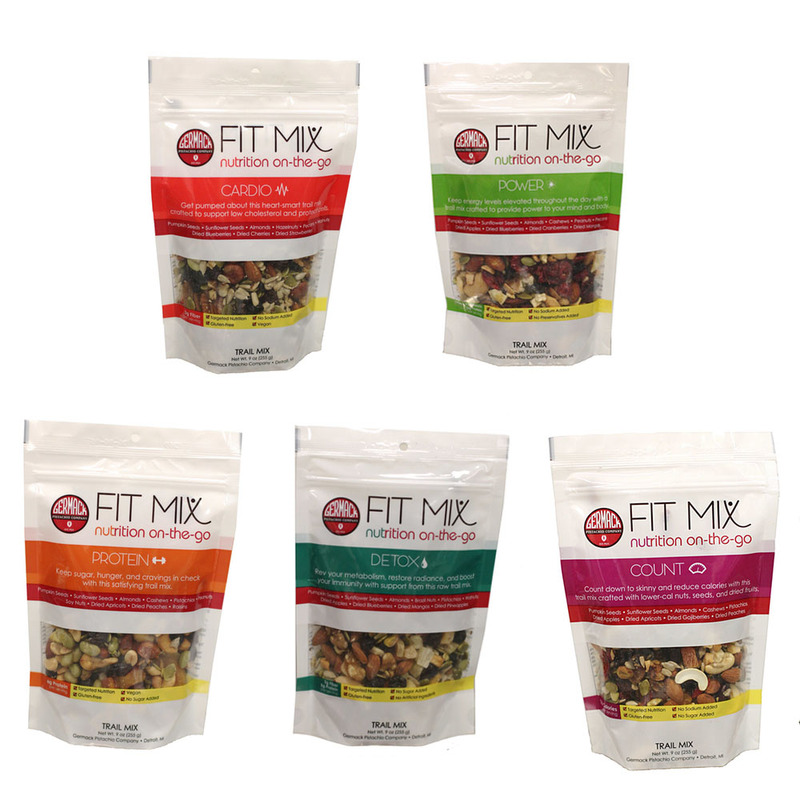 Our Fit Mix trail mixes are packed with nuts, seeds, and dried fruits. The fitness goal here is targeted nutrition, less sugar, less additives, and more variety! Five 9 oz. resealable zip lock bags. Protein (6 g. protein in every oz.) Count (120 cal per ounce) Detox (fiber + antioxidants) Power (nutrients that deliver energy to your mind and body) and Cardio (anti-inflammatory nutrients). The nuts & seeds in Protein and Power are roasted. The nuts & seeds in all others are unroasted/raw. All mixes have a blend of sunflower and pumpkin seeds. Amazing retreat for yourself, or gift for that healthy friend or family member. We don't charge for the gift packing so you can feel good about gifting this to yourself too! Enjoy! Gift card enclosed for gift recipients (fill out the form at checkout). Packed in a shipping box and wrapped with a beautiful Germack bow. Simple & festive - it does the trick at no cost to you!